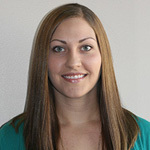 Hospice of the Red River Valley welcomed Stephanie Gramlow to the agency as a volunteer coordinator. In her role, Gramlow coordinates volunteer services for Hospice patients and families, including recruitment, screening, training, assignments, supervision and support of volunteers in coordination with the patient’s hospice interdisciplinary team. Previously, Gramlow worked as a counseling intern at Concordia College Counseling Center. She earned her master of education degree in clinical mental health counseling from the North Dakota State University in Fargo.